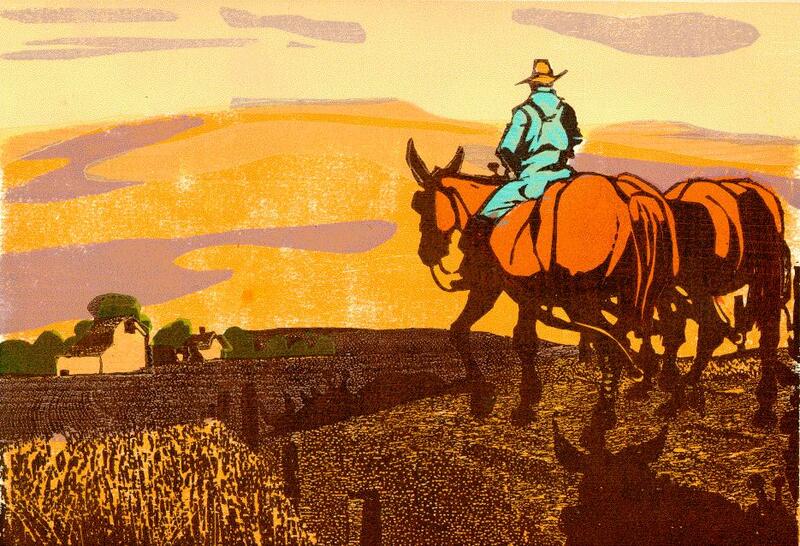 Woodcuts of an old time wheat harvest demonstration in Waitsburg, Washington. 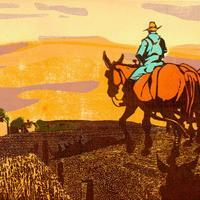 "This folio of woodcuts was created, cut and printed by Danny Pierce from the original blocks. The type was hand set in Caslon Oldstyle and printed on a Gordon Platen Press. The title was cut in wood. The paper is Arches Cover Buff 250 grs. 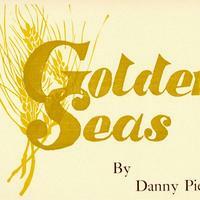 The endsheets were handmade by the Sea Pen Press and Paper Mil Seattle, Washington from wheat chaff gleaned on the Don Thomas ranch. The box was designed and constructed by the artist-author using raw Belgian Linen and Oasis morocco leather." -- Colophon. Issued in a clamshell case with tooled leather title label affixed to a recessed panel. No. 8 of a limited ed. 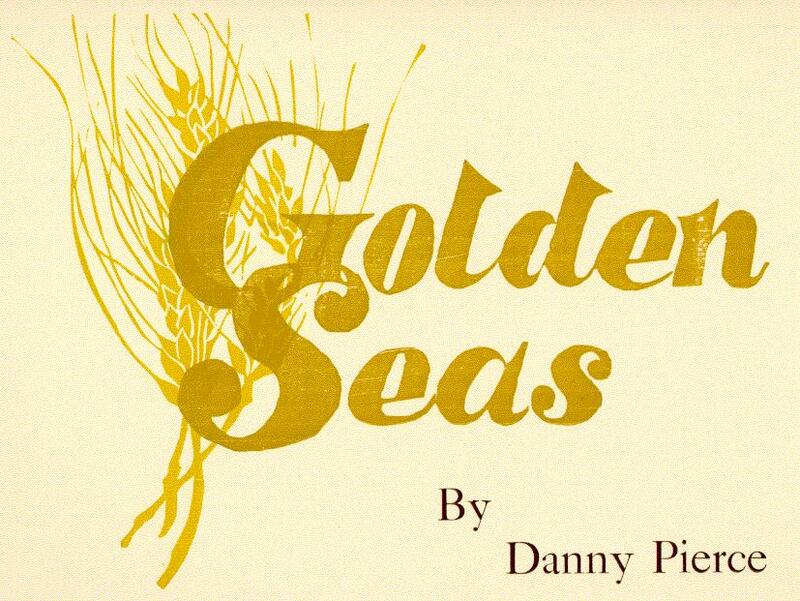 Pierce, Danny, “Golden Seas,” Digital Exhibits - UWM Libraries Special Collections, accessed April 22, 2019, http://liblamp.uwm.edu/omeka/SPC2/items/show/232.